Whether you’re starting out or you’ve been bullet journaling for awhile, you’ve probably realized that a bullet journal index can be really helpful. This is particularly the case for those of us that bullet journal in a notebook, as you need a way to keep things organized and find the pages you’re looking for when you need them. But if you’re not sure how to set one up, or you want more ideas on how you could go about it, this guide will help you figure out how to set up the perfect bullet journal index for you! The beauty of a bullet journal is that you can include anything inside, but if you don’t have an organization system, it can also be the biggest problem. That’s where the bullet journal index comes in – giving you a quick reference guide (or table of contents) that helps you find the section in your bullet journal you want. The bullet journal index is a bullet journal list of content. It includes section headings and their page numbers. It serves a guide to the content you’ve created in your bullet journal so you can find it quickly. It’s especially helpful if you don’t plan to do your bullet journal in a linear fashion. Want to do January’s monthly spread, a few collections, a habit tracker, and then February’s monthly spread? No problem. As long as you list them all in the index, you’ll always be able to find them. The biggest thing to remember with the bullet journal index is that once you create a new spread, make sure you go back and list the page numbers in the index. Staying on top of your list is crucial to the index working for you. To set up your bullet journal index, you’ll want to set aside a few pages right at the beginning of your notebook. Many notebooks designed for bullet journaling have this feature included. If so, you can just get started filling out each line as needed. If they don’t, just set a few pages aside yourself. Four pages is generally a safe amount. Title the pages as your “Index” to make sure you keep them set aside for the future. Then go about setting up the rest of your bullet journal. Set up the next few pages like your key, your future log, your yearly spread, your monthly spread and so on. You can also add things like collections or meal planners. Get as creative as you like. Once you’ve finished setting those up, then return to your index. For each section you’ll want to layout the title and the page numbers. There you go. 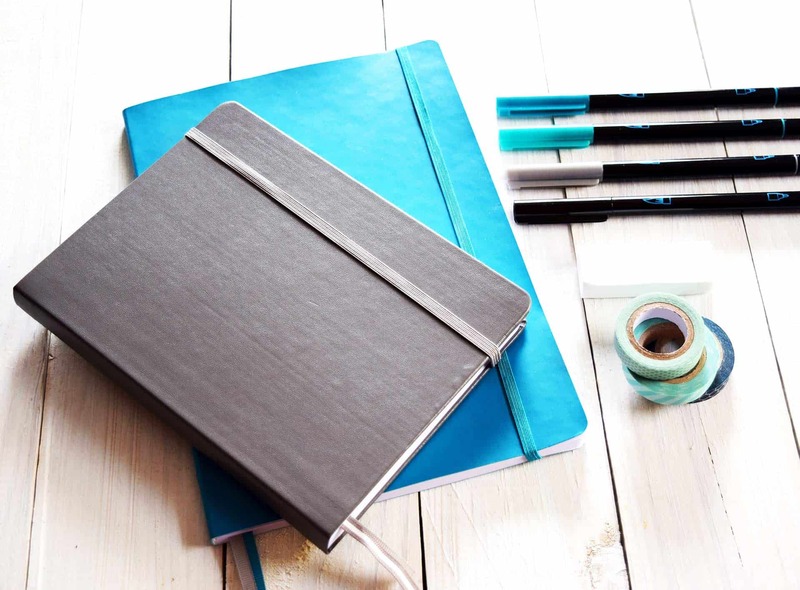 You’ve got your bullet journal index set up – pretty easy, right? Just remember that you’ll need to remember to go back and update your index as you create new sections of your bullet journal. It takes an extra minute or so, but its worth it to not have to flip page by page to find the section you want! Color coding your bullet journal index can help you easily find certain sections. Making budget related headers green, or collections headers purple can help you easily skim the index for the section you need – making it that much easier to use. If color coding isn’t your thing, try using different fonts to make your headers and sections stand out for you. If numerical order doesn’t work for you, you can also try organizing your index by sections instead. Update. Update. Update. (Have I said that enough?) Make time each week to update your bullet journal index. That’s how you keep your bullet journal index useful to you. If you’ve already started your bullet journal without creating an index, didn’t save room for it, and now wish you had – don’t worry. Just create your bullet journal index on the next available free space. Then use your ribbon marker to hold its place, or use a piece of washi tape to create a tab to remind you where your bullet journal index is. If your bullet journal doesn’t have numbered pages, you can hand number them, or use numbered stickers to create a numbered bullet journal.